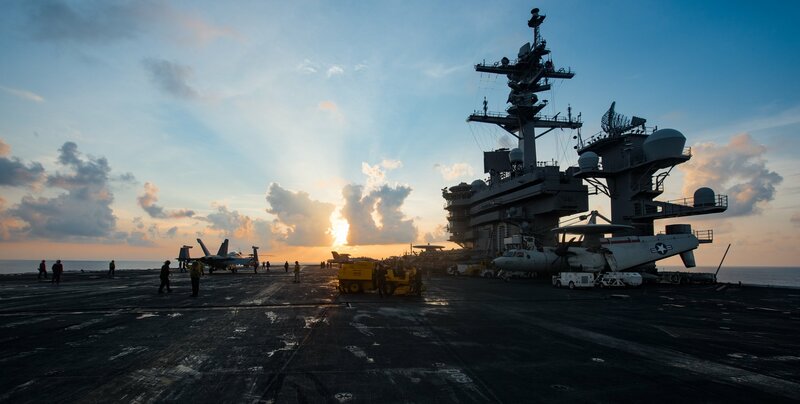 A defense official told USNI News on Tuesday the strike group could be off of Korea by sometime next week. Navy Times first reported Kilby’s notice on the extension late Tuesday. 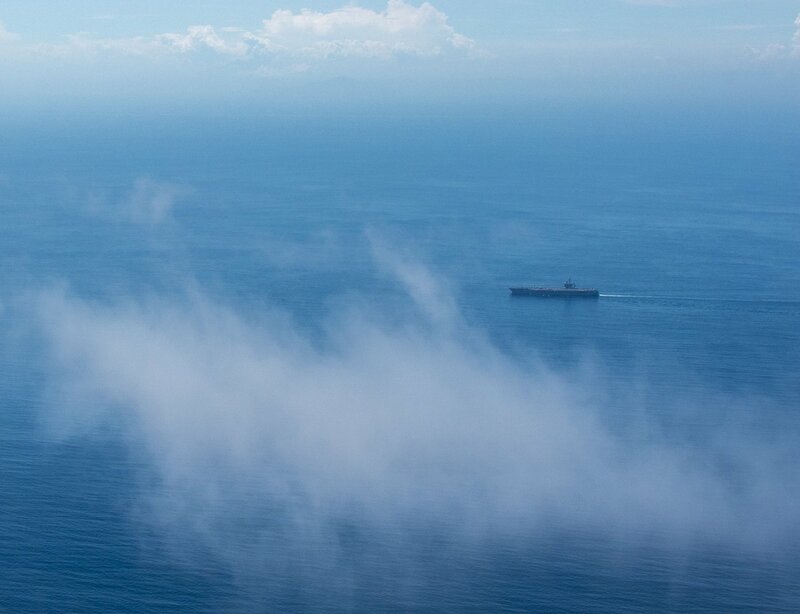 The CSG completed an abbreviated exercise schedule off the coast of Western Australia ahead of an anticipated transit through the South China Sea earlier this week. “The Strike Group was able to complete a curtailed period of previously scheduled training with Australia in international waters off the northwest coast of Australia,” U.S. Pacific Command spokesman Cmdr. David Benham told USNI News on Tuesday. On April 8, PACOM commander Adm. Harry Harris ordered the strike group to skip a previously planned port call in Fremantle, Australia and accelerate at sea training with the Royal Australian Navy off of the western coast of the country to get the strike group to the vicinity of Korea faster. A brief press statement issued as the ship left Singapore announced the cancellation of the port visit but did not include mention of the training with the RAN. The notice sparked press stories the CSG was steaming without delay to Korea assuming the move was to deter an anticipated North Korean missile or nuclear weapons test. Pentagon leaders denied that was the case last week. “There’s not a specific demand signal or specific reason we’re sending her up there. She’s stationed in the Western Pacific for a reason,” Secretary of Defense James Mattis told reporters on April 11 in an attempt to clarify previous statements. However, Mattis misspoke and said the training component of the CSG’s exercise with the RAN was canceled, which Pentagon officials corrected in a statement to USNI News shortly after Mattis’ remarks. Additional unclear statements from the White House compounded the misconception the Vinson CSG was headed directly to the peninsula. While the move of Vinson north has prompted additional attention, U.S. carriers off of Korea are not rare during a Western Pacific deployment. The strike group has already operated off the Korean peninsula last month as part of the U.S.-South Korean Operation Foal Eagle 2017 exercise.